Help Us Win a Bammy Award! California Approves WriteSteps on ELD list! Your students have spent hours working on a writing piece, and it’s almost finished. They’ve poured their hearts and souls into it. Then, the final moment comes when they’re asked to revise their work. The look of frustration and anger they give you is heart wrenching. You can see them imagining how good it would feel to throw their notebook at you, or toss in the towel and give up on their writing completely. Does this scenario sound familiar to you? Emphasize the positives first. There are always parts of the draft that are so good that I tell the student, “Don’t do a thing to it!” But then I’ll say, “Now look back at the beginning of your piece; are you equally pleased with that?” Starting positive opens students up to looking at their own work through a different lens. We’re Nominated for a Bammy EdTech Award and Would Appreciate Your Votes! We’ve been nominated for a Bammy EdTech Award for best-in-class in the category of web sites and resources by the Academy of Education Arts and Sciences! Want to change a child’s future? You can by helping spread the word about our program by voting for us! We believe writing is one of the most important skills for children to have, and it was Suzanne Klein’s (founder and former teacher) dream of helping her students become better writers that spurred the creation of WriteSteps. Click here to vote for us! We know your time is extremely valuable and we appreciate the two minutes you take to vote for WriteSteps. Once you follow the link, there are directions on how to vote. Thank you for helping us spread the word about WriteSteps and helping us with our mission to empower K-5 teachers with writing and grammar lessons that provide children with the essential skills they need for a lifetime of confident writing. We wouldn’t be able to reach students and teachers in classrooms across the nation if it weren’t for you! It’s official! 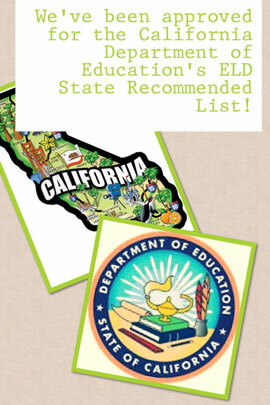 We are now included on the California Department of Education’s ELD Supplemental Instructional Materials State Recommended list! General education teachers need programs that use time wisely, and teachers need to be able to enhance their students’ English while teaching the core curriculum. Many experts say the best way to support ELLs is by using Reading Workshops and Writing Workshops (like WriteSteps). 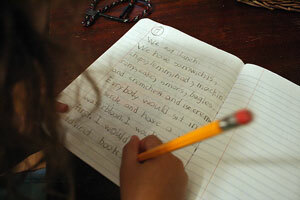 By using WriteSteps, California schools will be able to better serve the needs of all of their students. Do your students sometimes struggle with transition words and phrases? 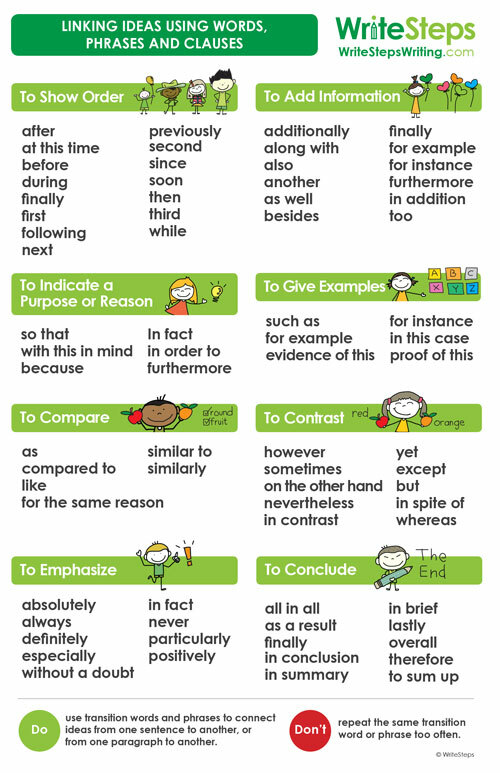 This poster is a useful tool that will help them link their ideas with words, phrases and clauses. Hang it in your classroom so your students can refer to it during their writing. 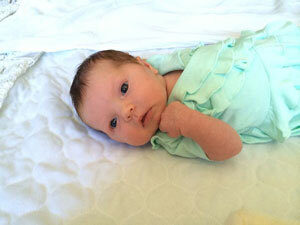 New Arrivals: WriteSteps Welcomes our Youngest Team Member, Rose! Rose King Villa is pictured in her green dress that the WriteSteps’ team gave to welcome her into this beautiful world. Rose King Villa was born with lightning speed on March 20th, weighing in at 6 lbs, 12 oz. She was welcomed with much fanfare by her 4-year-old sister, Ruby, who croons homespun love songs to her with titles such as “I Love You Really Much” and “Rose Is The Silliest Goose In Our House.” Rose’s dad is Rob Villa, our wonderful Implementation Specialist, and you also might know her Grandmother, Arlynn King. Rose brings to the team a sweet nature, infectious smile, and grand set of lungs. Congratulations to Rob and his family on their little bundle of joy! 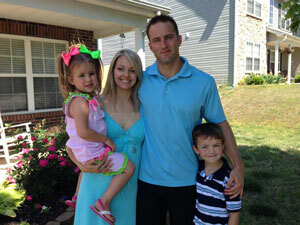 We’d like to welcome one of our new Awareness Ambassadors Paige Dickens to the team! Paige is in charge of spreading the word about WriteSteps in central North Carolina. Paige comes to us with a Masters in Elementary Education and has experience as a consultant for a variety of education publishers focusing on grades kindergarten through 8th. Paige believes writing is an extremely important tool to possess in order to be successful in any profession. Outside of work, Paige spends time with her children and family, is involved in Crossfit, and loves participating in adventurous activities like mud runs, skydiving, and hiking. Founder and CEO, Suzanne Klein, will be attending the Content in Context Conference, located at the Capitol Hilton. 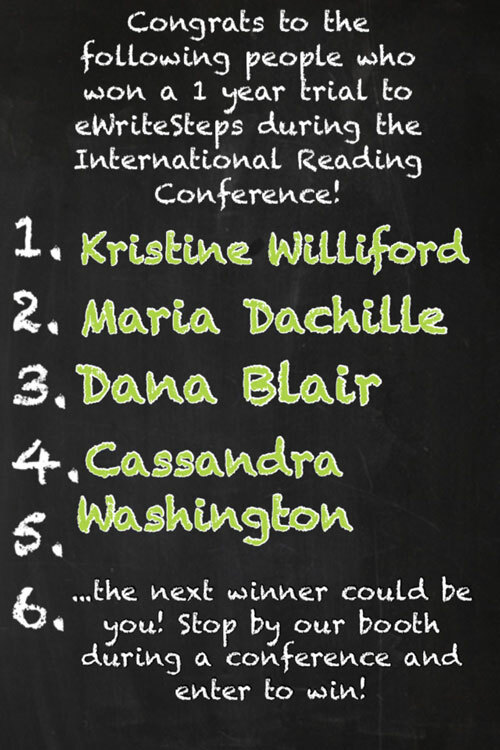 If you are heading to the conference, make sure you say hello! Kim and Terry Gates will be at the Texas Elementary School Principals and Supervisors Conference at the Austin Renaissance Hotel to answer any questions you have about WriteSteps. Kresta Byington will be presenting “A Formula for Common Core Assessment Success” to attendees at the Quality Educator Convention. Make sure you come to her presentation at Morona Terrace to receive valuable tools to help with your Common Core assessment.